A party on a yacht board in one of the most beautiful bays of French Riviera; it is a special event full of champagne, good music and bright emotions. We hope you will agree that there isn’t any party held on the beach that can be compared with the one held on a yacht. Light breeze, beautiful music and the best cocktails – all these things are the attributes of the unique and unforgettable emotions. 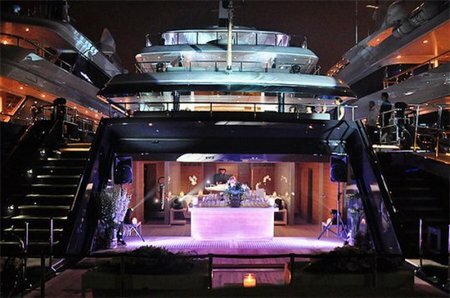 We’ll organize a unique and party on boat for you, which will be full of entertainment and positive emotion. You can choose from a number of yachts to host all of your guests. We will be offered a versatile menu, entertaining program, fireworks and many other interesting services. We organize transfers to the yacht for all your guests, or if you want, we can show them around and visit some wild beaches or great fish restaurants off the bitten track.